The United States has enough solar energy installed to power over 11 million American homes. America’s cities and towns play a key role in driving the adoption of clean, renewable energy. Yet, most have only begun to tap into their solar energy potential. Local governments can set the pace for solar growth by driving development through effective public policy and community engagement, reaping benefits for the environment, public health, grid resilience and consumers. This series of guides should serve as a toolkit for communities interested in leading the transition to clean, renewable energy. Each guide illustrates the importance of one of the following policy tools for advancing solar energy adoption, as well as guidelines, case studies and additional resources. A solar energy goal provides an opportunity to institutionalize a shared vision for a solar-powered future. Some cities have established solar goals as a part of a broader commitment to 100 percent renewable energy, while others have stand-alone solar commitments. Philadelphia has a goal of producing solar energy on 80 percent of suitable rooftop space by 2050, which will help the city transition to fossil fuel-free electricity by 2050. Such commitments that apply to the entire community drive the most progress in both distributed and utility-scale solar. Cities can lead in the clean energy transition, boost the local solar market and save on electricity bills by powering their own operations with solar energy. Park City, Utah, is committed to powering city operations with 100 percent renewable electricity by 2022, and has installed solar panels on city transit buildings, police stations, affordable housing units, park buildings and city hall. Homeowners and businesses often have to jump through too many costly zoning and permitting hoops to go solar. Cities can eliminate barriers by expediting permitting processes, reducing fees and making zoning policies clear and non prohibitive for solar projects. The Department of Energy’s SolSmart program can help cities make it faster, easier and more affordable to go solar. The City of West Palm Beach achieved a streamlined, transparent online permit process through the program. When it comes to reducing pollution and global warming emissions, any rooftop without solar is a missed opportunity. Cities can seize that opportunity and lower costs by requiring that new buildings include solar energy systems. Several cities have adopted policies that all new homes be built with solar panels, including South Miami, Florida. After several California cities adopted solar homes policies, the state became the first to do so statewide via a building code overhaul. Not everyone interested in going solar can pay for a new solar installation up-front. The Property Assessed Clean Energy (PACE) Program allows local and state governments to loan money to home and business owners for energy improvements, to be paid back on top of their property taxes. Cities can also partner with local financial institutions to offer low-interest loans for solar projects. 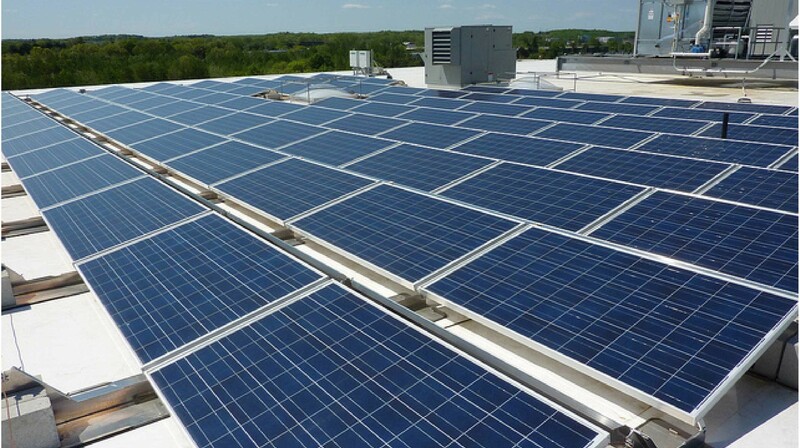 The “Milwaukee Shines” program, for example, partnered with Summit Credit Union to offer loans of up to $20,000 for certain solar installations. Partnering with local solar installers to allow customers to lease panels over time can also help reduce up-front costs. Bulk purchasing programs allow businesses, homeowners and nonprofits to purchase solar energy collectively, lowering the cost for everyone involved. 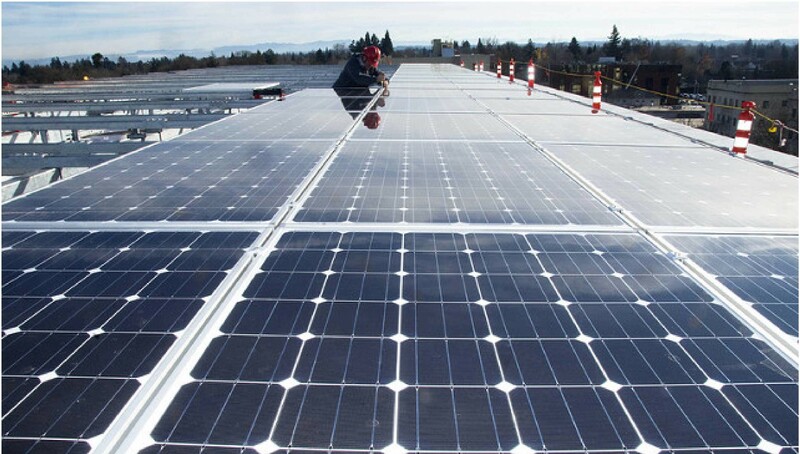 Portland, Oregon, was the first to offer a “Solarize” bulk purchasing program, and many other cities have followed suit. In less than five months, “Solarize Athens” more than tripled the residential solar energy capacity in the Athens, Georgia, metropolitan area. Community solar programs can allow apartment occupants and others unable to install their own solar systems to access clean solar energy. 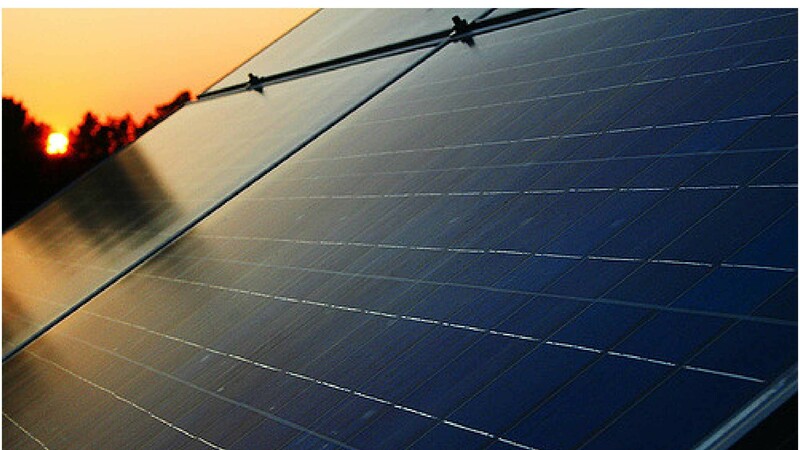 Customers can rent or own a set of panels in a shared project and receive a credit on their utility bill for the power they produce. 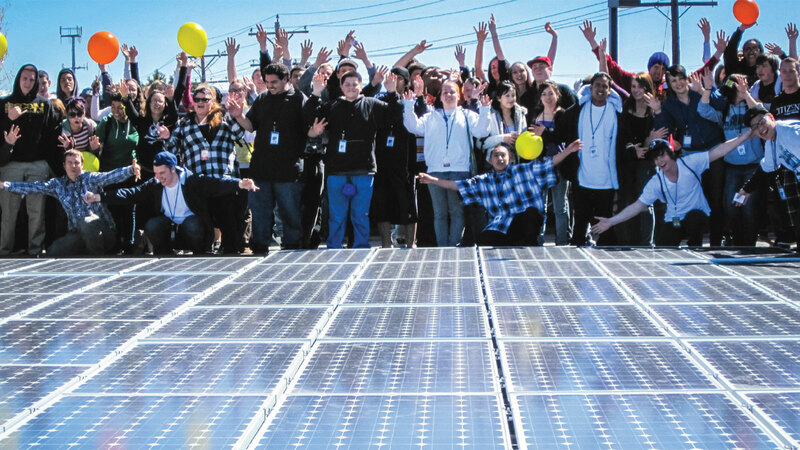 Cities can work with utilities and third-party developers to develop shared solar projects. Cities should work with the electric utilities serving their areas – whether municipal or investor-owned – as partners in unlocking the potential of solar energy. The City of Minneapolis established a partnership with Xcel Energy and CenterPoint Energy, the investor-owned electric and gas utilities serving the city, to achieve its goal of using 100 percent renewable electricity citywide by 2030. Cities served by investor-owned utilities that are not supportive of or responsive to renewable energy initiatives may want to consider forming a municipal utility or community choice aggregation (CCA) in order to gain greater control over their electric supply. From Los Angeles to Greensburg, Kansas, public power utilities are leaders in renewable energy adoption. 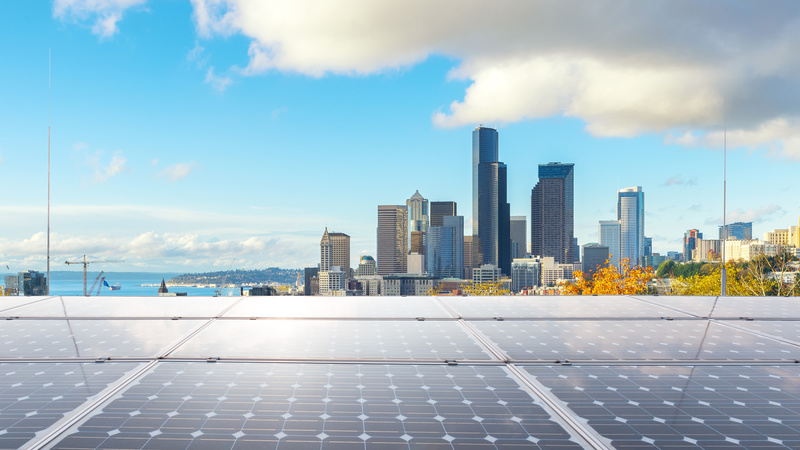 Cities can shine brighter when their state’s energy policy landscape supports renewable energy development, and should advocate for state policies that facilitate the widespread adoption of solar energy for homes, businesses and utilities.